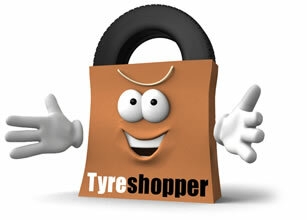 Find your Perfect Caravan tyres with Tyre Shopper! Find your perfect caravan tyres through Tyre Shopper! Tyre Shopper sells a range of tyres suitable for caravans, motorhomes and trailers. Look out for tyres marked ‘C’ or ‘CP’ as these denote light commercial tyres suitable for these types of vehicles. These tyres are specifically engineered to carry the extra load imposed by these heavier body types. It is important to ensure that you do not deviate from the manufacturers original specifications as this may affect the handling characteristics of your vehicle. It is also important to ensure that your vehicle is not overloaded and that the tyre pressures are consistent with the load being carried.